Over 2300 teams from over 400 schools participated in the qualifying rounds, with just 137 schools progressing to the National Finals. Ten Para teams competed representing their Division across two categories. Tom swam for his school Churcher’s College in the boys inter 4 x 50m freestyle relay. They finished a very respectable 14th. 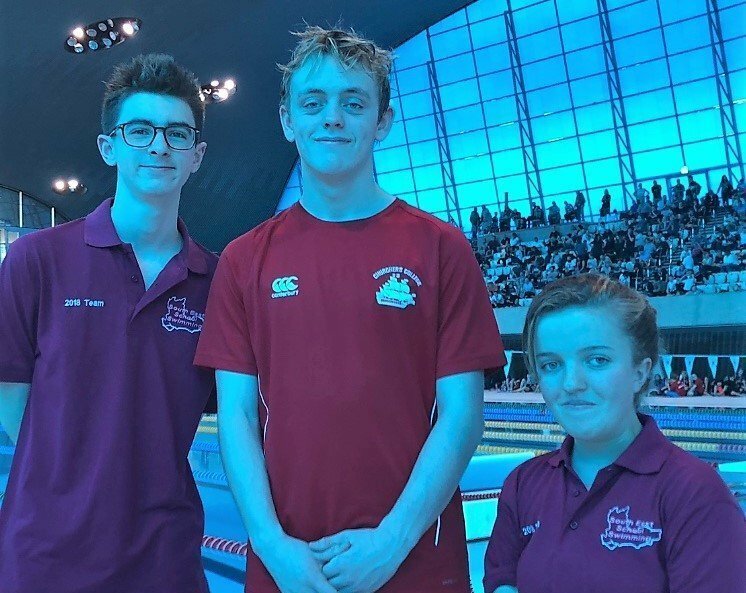 Georgie and Joe represented the South East Division Para Team. Georgie was in the category 2 team, winning Silver in both the freestyle and medley relays. Joe swam in category 1 for the freestyle relay, winning Gold. He then swam in category 2 for the medley winning Gold and breaking the ESSA record for this event!